The First Minister of Northern Ireland is calling for the UK Government to lower the corporate income tax rate in Northern Ireland to match the 12.5 percent rate paid by businesses in the Republic of Ireland. On November 24th the UK’s Prime Minister David Cameron visited Northern Ireland, where he was urged by the First Minister of Northern Ireland Peter Robinson to lower the corporate tax rate faced by businesses operating in the country, claiming that a reduced rate will allow the country’s economy to flourish and attract greater levels of international business migration. While speaking to David Cameron, Peter Robinson said that it is unfair that the Republic of Ireland (ROI) is receiving a GBP 7 billion bail-out from the UK Government while adamantly refusing to discuss raising its 12.5 percent corporate tax rate. Peter Robinson also said that by giving the ROI a bail-out, the UK is effectively “kick starting” an economy that already has a very advantageous tax system. The UK Treasury is yet to respond to the First Minister’s suggestion. 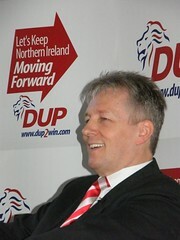 In a television interview on the same day Peter Robinson conceded that a lowering of Northern Ireland’s corporate tax rate could have a negative effect on investment into the ROI. However, he went on to say that any loss of competitiveness would be the price that the ROI has to pay for receiving a bail-out from the European Union, the UK and the International Monetary Fund. Despite the First Minister’s suggestion, there are some protestations in Northern Ireland to keep the corporate tax rate as it is. While speaking in front of the House of Commons’ Northern Ireland Affairs Committee, John Simpson, researcher at the University of Ulster, claimed that a rate reduction would not attract enough new businesses to supplement the ensuing loss of tax revenues. He added that the biggest beneficiaries from a corporate rate adjustment would be businesses already established in Northern Ireland, with negligible advantages experienced by taxpayers or the Government.